Invite SS501 To The Philippines! SS501 is a popular South Korean boyband under management of Daesung Entertainment, also known as DSP Entertainment. They debuted in 2005, and now they've come back as strong as ever. Kim Hyun Joong, the leader of the group, starred as Yoon Ji Hoo in the popular drama Boys Over Flowers, which has also captured Filipinos all over the country. 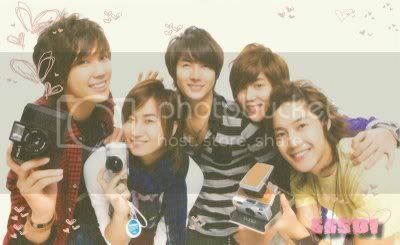 SS501 are not only pretty boys but they are extremely talented and down to earth. SS501 taking Asia by storm! They're currently doing their Asian Tour, but as far as we know, Philippines is not on the list of Asian countries that they're going to visit. We want them to come to the Philippines too! We, the undersigned, believe that ABS CBN should invite SS501 here in the Philippines. SS501 have lots and lots of fans in the Philippines who are excited to see them in person! Filipino fans are hoping that ABS CBN would invite SS501 for a fanmeet or a concert. We want SS501 to come to the Philippines!!! The Invite SS501 To The Philippines! petition to ABS-CBN, Channel 2 Kapamilya was written by phtriples and is in the category Arts & Entertainment at GoPetition.